Prophecies of Jesus’ Second Coming–In many places of the bible, Jesus prophesied about the signs of the last days and his second coming. (Matthew 24, Mark 13, Luke 21) Since these are written in parable, it is hard to understand the hidden meaning behind it. For this reason, many people interpret the signs in many different ways. Then what is the correct interpretation of these prophecies? To understand these prophecies, we have to first know how to understand the parable. Prophecies of Jesus’ Second Coming–All the teachings of God in the bible is written in parable and therefore nothing in the bible can be interpreted in its literal sense. Matthew 13:34 Jesus spoke all these things to the crowd in parables; he did not say anything to them without using a parable. And all these parables are very important for our salvation because these parables contain the secrets of the kingdom of heaven. Matthew 13:10 The disciples came to him and asked, “Why do you speak to the people in parables?” 11 He replied, “Because the knowledge of the secrets of the kingdom of heaven has been given to you, but not to them. By understand the parable we can know the secret of the parable. And we can know the secret of the kingdom of heaven. It means that the secret hidden in the parable is the master key for the kingdom of heaven. The problem is that not everyone was allowed to know the secret of the parable. There are two groups of people: one who is allowed to know the secret of the parable and given the key for the heaven and the other who is not allowed to know the secret and hence not allowed to enter heaven. In this sense, we can say that the salvation depends on whether we know the secrets of the parables or not. 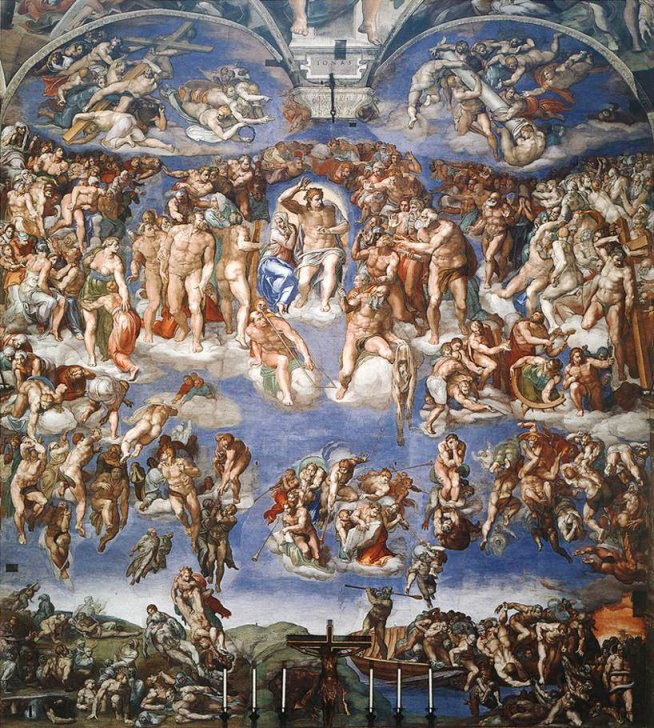 Many believe that Jesus will come on the clouds of heaven on the Day of Judgment. But is this a correct understanding of the prophecy of the bible? Prophecies of Jesus’ Second Coming–Then who has authority to reveal the secrets and how can we know the meanings of the secret so that we also can have the keys for the kingdom of heaven? Mark 4:33 With many similar parables Jesus spoke the word to them, as much as they could understand. 34 He did not say anything to them without using a parable. But when he was alone with his own disciples, he explained everything. The only one who can give the right interpretation of the parable is only Christ or God himself, not any famous pastors, or biblical scholars. Then how can we find out the meaning of the parables? Through the teaching of Christ himself. Then where can we find the teachings of Christ. Also in the bible!! Therefore, through the bible we can see the parables and we can find the secrets of the parables. We have to remember this that we can find the answer for the parable of the bible only inside the bible. Many people try to find the meaning of the parable outside the bible in their own thoughts, in the common senses, in famous books, etc. In this way, they cannot find the true meaning of the parable of the bible. What they can find is another theory, which adds up to all the different theories which have already existed. Prophecies of Jesus’ Second Coming–With these in mind, now let us take a look at the prophecies of Jesus about his second coming. 2000 years ago, he gave a lot of signs of his second coming. We can see these signs in the teachings of Jesus to his disciples. Let us look at the signs Jesus gave 2000 years ago. And we will find out the meanings of the parables one by one through the bible. Chapter 24 of the Book of Matthew contains the prophecies of the last days and Jesus’ second coming. In this scene, the disciples are asking three questions: the time of the fall of the Jerusalem Temple, the sign of the end of age, and the signs of his (second) coming. And Jesus teaches one by one as answers for these questions. Among the many prophecies of the chapter, what we are going to is the signs for Jesus’ Second Coming. Matthew 24:22 “If those days had not been cut short, no one would survive, but for the sake of the elect those days will be shortened. 23 At that time if anyone says to you, ‘Look, here is the Messiah!’ or, ‘There he is!’ do not believe it. 24 For false messiahs and false prophets will appear and perform great signs and wonders to deceive, if possible, even the elect. 25 See, I have told you ahead of time. 26 “So if anyone tells you, ‘There he is, out in the wilderness,’ do not go out; or, ‘Here he is, in the inner rooms,’ do not believe it. 27 For as lightning that comes from the east is visible even in the west, so will be the coming of the Son of Man. 28 Wherever there is a carcass, there the vultures will gather. 29 “Immediately after the distress of those days “‘the sun will be darkened, and the moon will not give its light; the stars will fall from the sky, and the heavenly bodies will be shaken.’ 30 “Then will appear the sign of the Son of Man in heaven. And then all the peoples of the earth will mourn when they see the Son of Man coming on the clouds of heaven, with power and great glory. 31 And he will send his angels with a loud trumpet call, and they will gather his elect from the four winds, from one end of the heavens to the other. Prophecies of Jesus’ Second Coming–Through this prophecy Jesus teaches us many things about his second coming. First, he teaches that many false Christ and messiahs will appear to deceive people. And he also prophesies about his appearance for the second time. And in this prophecy, he teaches us how to distinguish the false Christs and true Christ. To let us know the true Christ among many false christs, he gives many signs of the true Christ as prophecies. The first thing I would like to point out is his prophecy about his depicting his appearance as coming on the clouds. Matthew 24:30 30 “Then will appear the sign of the Son of Man in heaven. And then all the peoples of the earth will mourn when they see the Son of Man coming on the clouds of heaven, with power and great glory. What is the meaning of this prophecy? Does it mean that he will come to this earth riding on clouds as many believes? Or is this also a parable and has a secret in it? 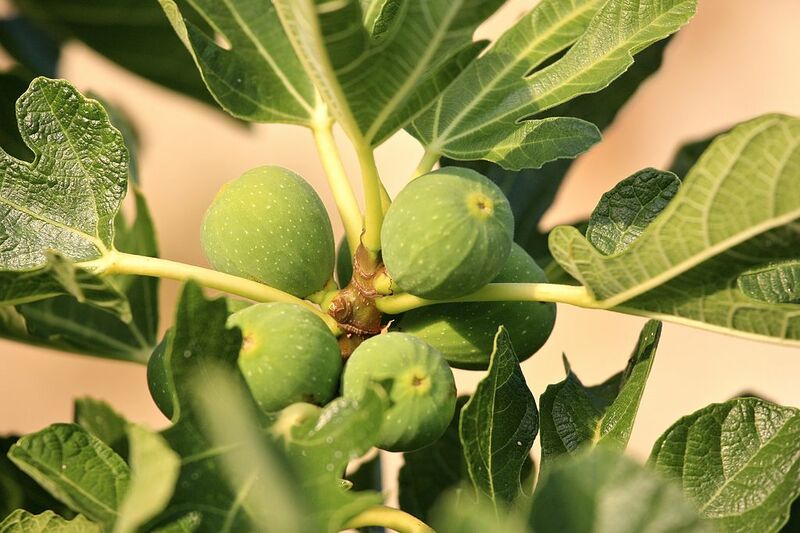 What is the meaning of the parable of the fig tree? How should we understand this prophecy? Matthew 24:32 “Now learn this lesson from the fig tree: As soon as its twigs get tender and its leaves come out, you know that summer is near. 33 Even so, when you see all these things, you know that it (or he, that is, the second coming Christ himself) is near, right at the door. Prophecies of Jesus’ Second Coming–According to this prophecy, when the fig tree revives, the Christ himself would be at the door. Then what is the fig tree? Physically, the fig tree blossoms every year. Then how many times have the fig tree blossomed since Jesus’ ascension? 2000 times. Then has he come 2000 times? No. Therefore, this must be a parable too. In this prophecy, Jesus is comparing his coming to the “lightning that comes from the east”. Then what is the meaning of this parable? This is a prophecy written in the Book of Revelation. In the Book of Matthew, Jesus prophesied that he would be standing at the door when the fig tree revives. If we look at the related verse in the Book of Revelation, we can know the meaning. Revelation 3:20 20 Here I am! I stand at the door and knock. If anyone hears my voice and opens the door, I will come in and eat with that person, and they with me. Then what is it that he is giving us to eat? Is he going to take us to a nice buffet? Probably not. Then what is it? Revelation 2:17 Whoever has ears, let them hear what the Spirit says to the churches. To the one who is victorious, I will give some of the hidden manna. I will also give that person a white stone with a new name written on it, known only to the one who receives it. He said that he would give us “hidden manna”. This is the sign he brings to us so that we can recognize him. When he comes as man, it would be hard to recognize him just as his first coming. But through the hidden manna he brings, we can be sure that he is the Second Coming Christ who comes for our salvation. Then what is the hidden manna? Prophecies of Jesus’ Second Coming–All these are important messages Jesus gave to teach us about his second coming. Therefore, we must have knowledge about these prophecies. And then we can correctly recognize the second coming Jesus Christ who comes fulfilling all these prophecies. Then without knowing these parables, how can we receive salvation? Jesus rightly teaches us that we have to “learn lessons” from his teachings. Then we can recognize the second coming Christ and receive salvation. Therefore, from now on, let us learn the lessons from these parables one by one. Then we will come to know who the true Christ is. This entry was posted in Christ Ahnsahnghong, the True Prophet, Teachings Of Christ Ahnsahnghong and tagged Coming on the Clouds, Coming with Clouds, How to Interpret the Parables, Lesson from the Fig Tree, Lightning from the East, Parable of Clouds in the Sky, Parable of Fig Tree, Parables of the Bible, Prophecies about Jesus' Second Coming, Signs of Jesus' Second Coming, Signs of the End of the Age, The Secret Messages in the Parable. Bookmark the permalink. If we meet 2nd coming Christ in this time, we wont go to heaven. Because only 2nd coming Christ can give us salvation through the new covenant passover. I give thanks to Christ Ahnsanghong. To believe in God, it is important to study the bible. I hope people study the bible exactly and realize the second coming Christ. By reading the article, I could understand I have to find Second Coming Jesus only though the Bible and He is Christ coming the earth for our salvation. I almost did not know about great blessings of God, but I was received him by the grace of God. Thanks to Father Ahnsahnghong ! How mysterious and profound the Bible is!! Jesus let us recognize Him as the Second Coming Christ when He comes in flesh again for our salvation. That’s why we, who are living in this last age, have to study the Bible diligently in order to figure out who is the true Christ who is to come a second time. The only one who can give the right interpretation of the parable in the Bible is only Christ or God himself. Not any famous pastors, or biblical scholars. So we must seek and receive the 2nd coming Christ who give us the key of salvation. Christ Ahnsahnghong who has fulfilled all prophecies of the Bible is the 2nd coming Christ. To save all mankinds without failure, God gave us many prophecies and spent many times to let us know him. I can feel his love through his efforts to seek us. The parable of the fig tree is so amazing. I like it. Yes. It is clear that Christ Ahnsahnghong is God the Father who came to this earth according to prophecies in the Bible. When we find and receive him who has led Zion where is the truth, we can be saved. Just like the Apostles of the early church recognized Jesus as the Christ, the Savior of the age of the Son, thru the prophecies of the Bible, so we can recognize the Savior of this age of the Holy Spirit only thru the prophecies of the Bible. Now is the time to learn all these prophecies of the Bible one by one and have firm faith to 2nd Coming Christ! Without belief in the 2nd coming Christ, we can’t receive the grace of salvation. Jesus promised that He will come again with prophecies. And by fulfillment of prophecies, we can recognize who second coming christ is. Christ Ahnsahnghong fulfilled all of prophecies in the Bible. Only God can let us know will of God, so God must come to this earth for God’s people who believe in God and want to know His will. Christ Ahnsahnghong, the second coming Christ is the one who open the way to the secret of the Bible. Christ Ahnsahnghong brought us the Passover of the New Covenant and all the feasts again according to the prophecies of the Bible. He is our true God the Almighty. We will receive Christ Ahnsahnghong who established the Passover so that we will go to the heaven by his grace. Just like prophecies about first coming Jesus, bible clearly predicted about second coming christ. Only God can exactly come in this earth through the prophecies of the Bible. So Second Coming Christ Ahnsahonghong has come in the flesh and has fulfilled the prophecy of the fig-tree because of God. It is because the prophet is an omnipotent God, not a man.